Today I am in the mood for a quick and easy snack. It is one of those dishes you can find in many Chinese restaurants. 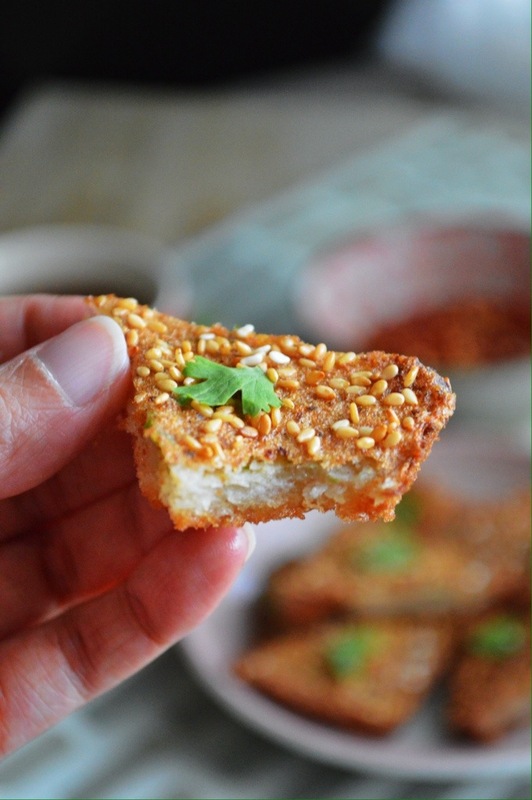 I am sharing the recipe of the simple, yet delicious sesame prawn toast. Fresh prawns are minced with spring onion, garlic and other spices and spread on sliced bread, covered liberally with sesame seeds and deep fried to crispy golden perfection. Just try to keep them as a treat, rather than an every day dish as they are quite oily. For a healthier version, you could bake the toasts in the oven instead of frying them. The combination of the minced prawns with spices and bread works well. 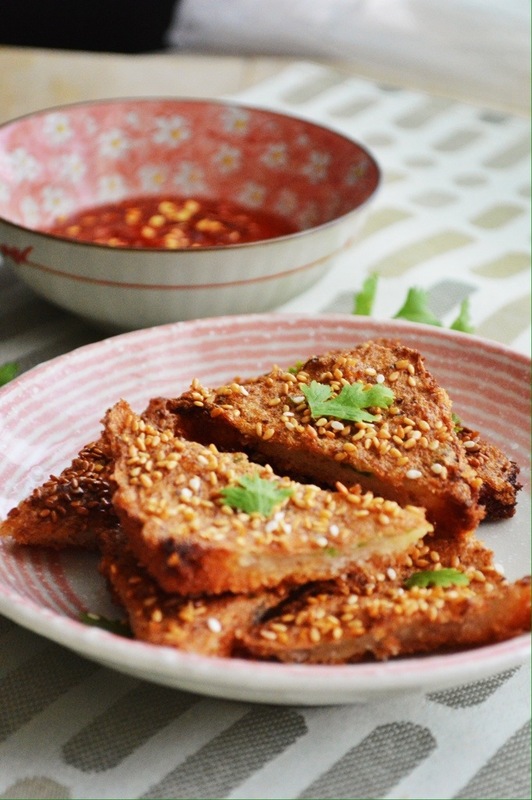 The addition of sesame seeds gives a mild nutty taste along with extra crunchiness. This toast tastes great with sweet chilly sauce. You can serve it as a starter with a fresh salad on the side and with a dipping Sauce, with a nice hot cup of tea or coffee. But more ideal they are the perfect finger food at a party. 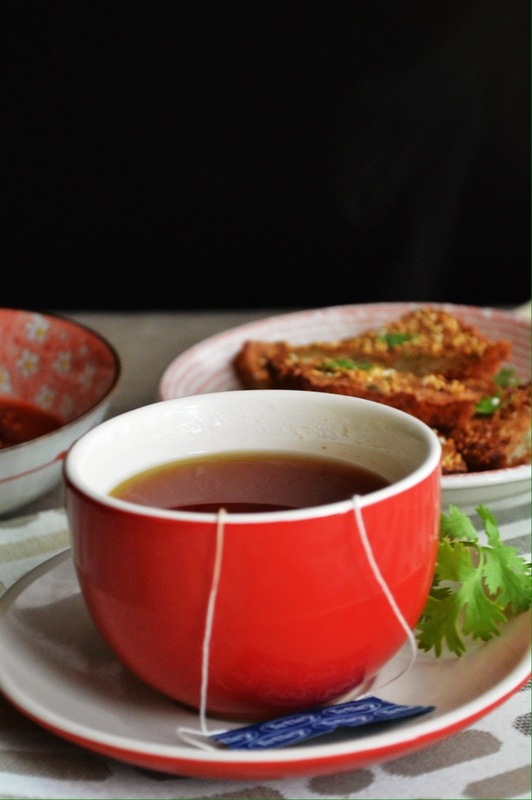 But the toasts need to be eaten immediately after frying, when they are still crispy and piping hot! Im sure you all will enjoy it. 1. Combine prawns, egg white, minced garlic, chopped spring onion, pepper powder, soya sauce, cornflour and salt. Blend this in a food processor till it becomes a paste (refer notes). 2. Trim the edges of the bread. 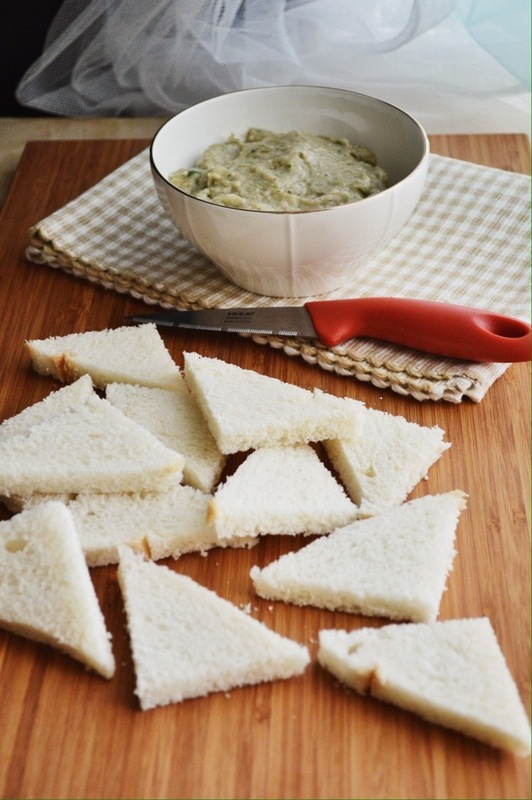 Cut each slice of bread into 4 triangles. Spread the paste on 1 side of the bread & try & press down as much as possible. Sprinkle on sesame seeds on top of the paste. 3. Heat oil in a deep and wide pan, till hot but not smoking, place your toasts (paste side down) into the oil & fry for approx 30-50 seconds each side or as desired. ✔️If the shrimp paste becomes too watery or loose add a bit more cornflour and blend for a few seconds. ✔️ If you want to avoid deep frying, you can shallow fry or bake the toasts. But I’m not sure, if how the outcome would be, as i have not tried it myself. ✔️ Be careful while adding salt since soya sauce is also used. ✔️ I think you can make the shrimp paste one day in advance and store it in fridge. ✔️ The frying part is a bit tricky. You’ve to be careful about the oil temperature. Since the prawns isn’t cooked, you need it to be cooked completely but at the same time you don’t want to burn the bread. Once the oil is hot enough, bring down the flame to low and fry. 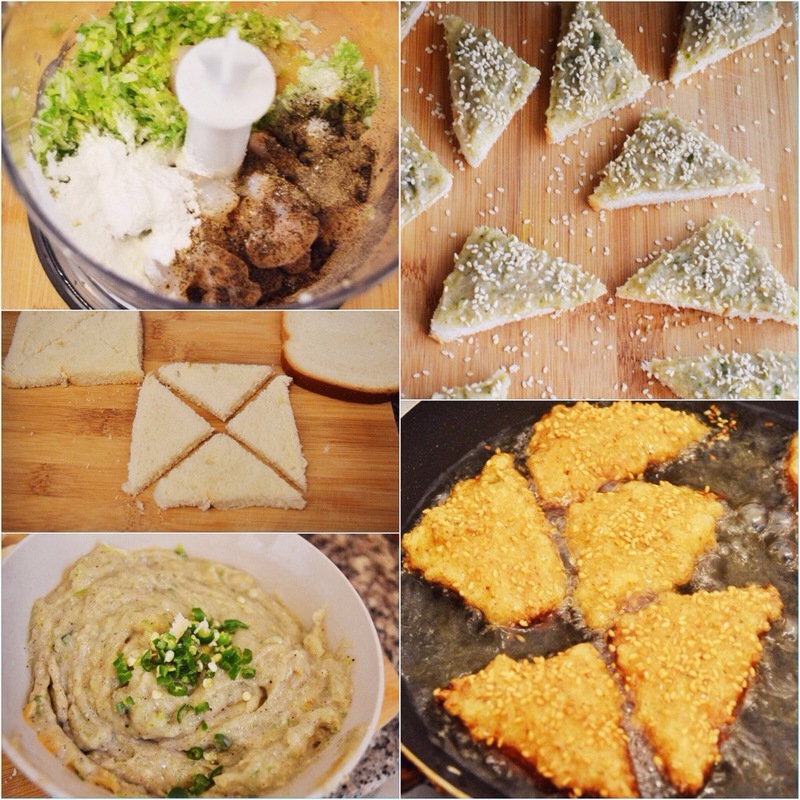 ✔️ For that extra crunch you can add panko bread crumbs along with sesame seeds on top of the bread. Combine prawns, egg white, minced garlic, chopped spring onion, pepper powder, soya sauce, cornflour and salt. Blend this in a food processor till it becomes a paste (refer notes). Trim the edges of the bread. Cut each slice of bread into 4 triangles. Spread the paste on 1 side of the bread & try & press down as much as possible. 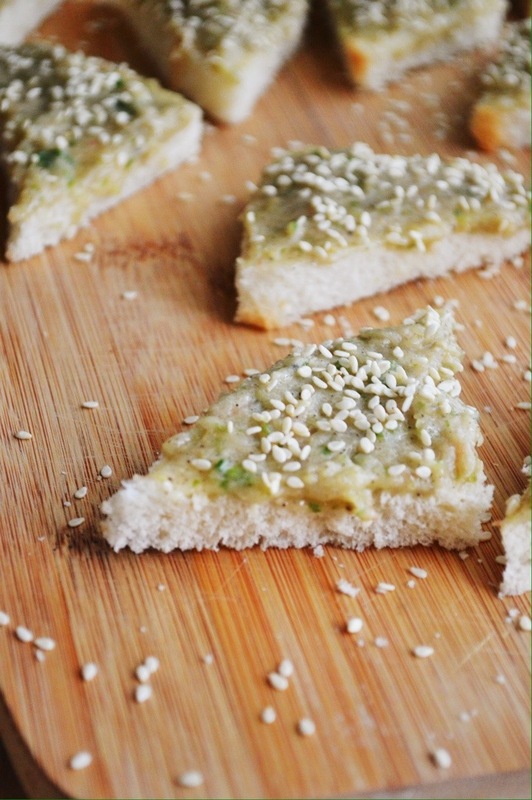 Sprinkle on sesame seeds on top of the paste. Heat oil in a deep and wide pan, till hot but not smoking, place your toasts (paste side down) into the oil & fry for approx 30-50 seconds each side or as desired. 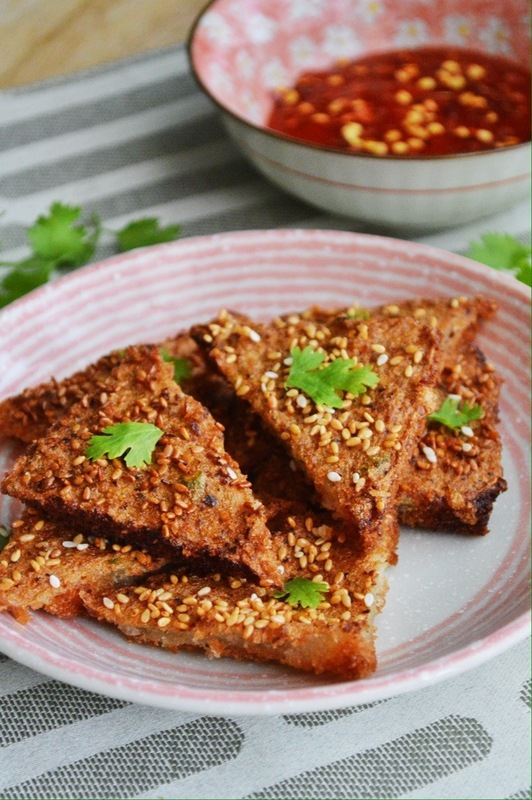 I love shrimp toast, never thought to make it myself. 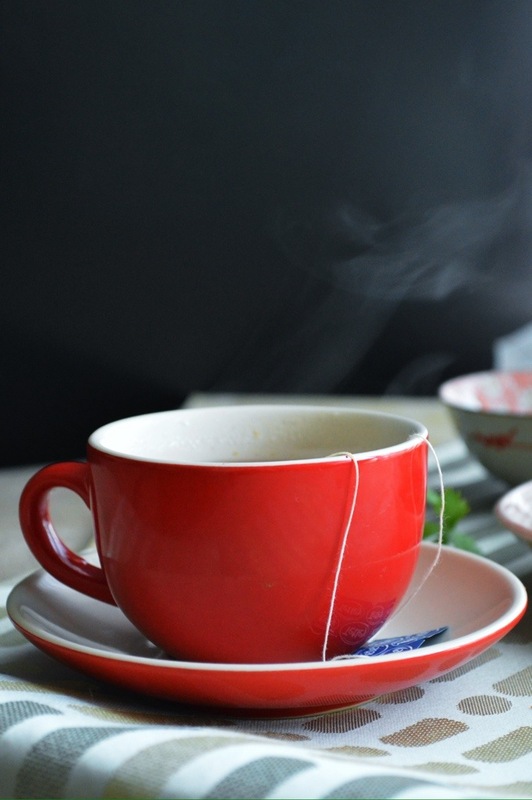 Super easy recipe, I love it! This is a really great appetizer. 🙂 🙂 it really is very easy! 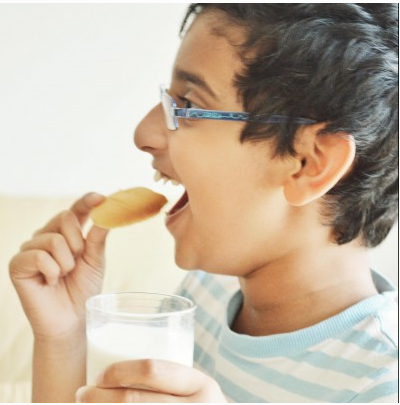 These little toasts of yours are mouthwatering, Sadia! 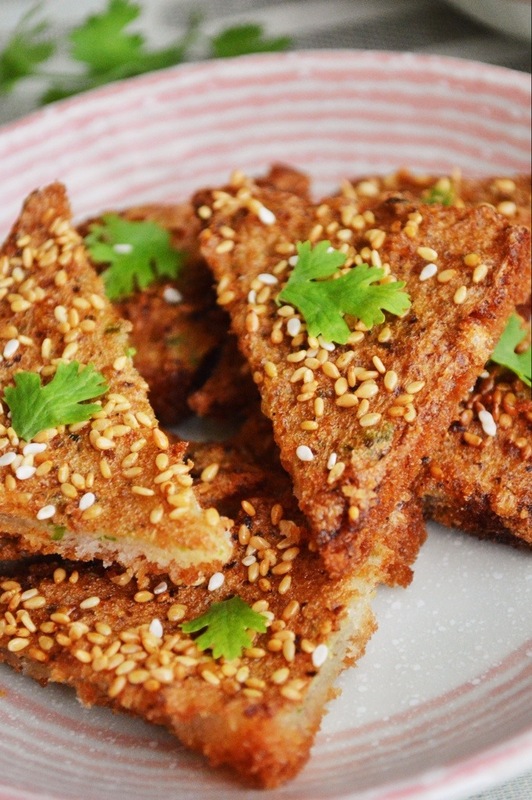 I love prawn toast- my ultimate comfort food! Oh that looks so good, Sadia! 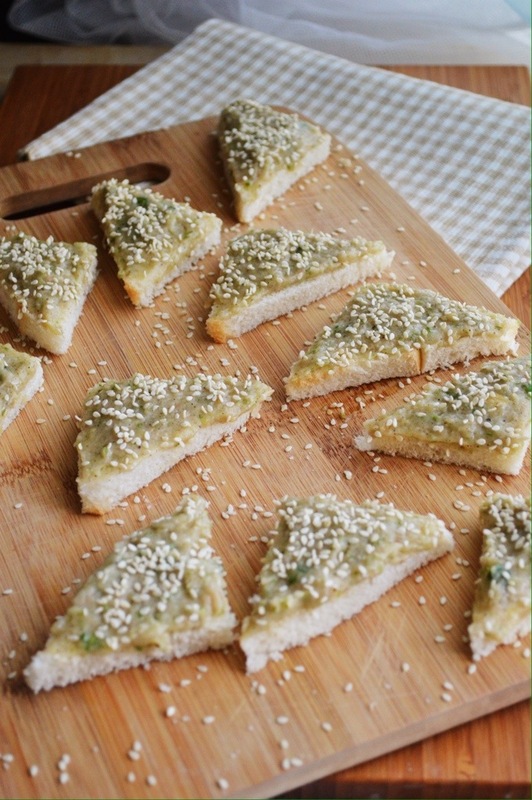 Although we don’t eat prawns my mum used to make a version of this sesame toast. It looks super delicious! Thank you Aditi! So your mom used to make it with veggie? Oh wow Selma! Those toasts look so good… I’d like to have bunch of them! I’m sorry… I knew that you were Sadia. I apology, it’s very annoying when people call you with the wrong name! Sorry again. This looks amazing! Are the prawns cooked at all before mixing them with the other ingredients in the paste? Sorry this might be a silly question! And noo it really was not a silly question. Most of them have that doubt.